If lead companies investing in new technologies to manage operations, look to lean and agile capabilities, data driven strategies are essential to deriving greater value from human assets, goods, and capital. 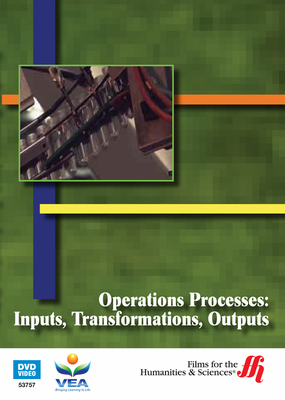 New technologies create the conditions for precision in communications and operations. Operations Processes: Inputs, Transformations, Outputs (23 minutes) looks at how enterprise systems supports for core administrative, production, and logistical processes, offer companies a total operations approach. With greater accountability, enterprise systems are now responsible for turning input into profit; redefining core business processes in organizations. The video includes case studies of organizational operations in different business in Australia and New Zealand serve as the basis for the inquiry. Printable worksheet materials outlining the steps to planning the integration of an enterprise system are available online.